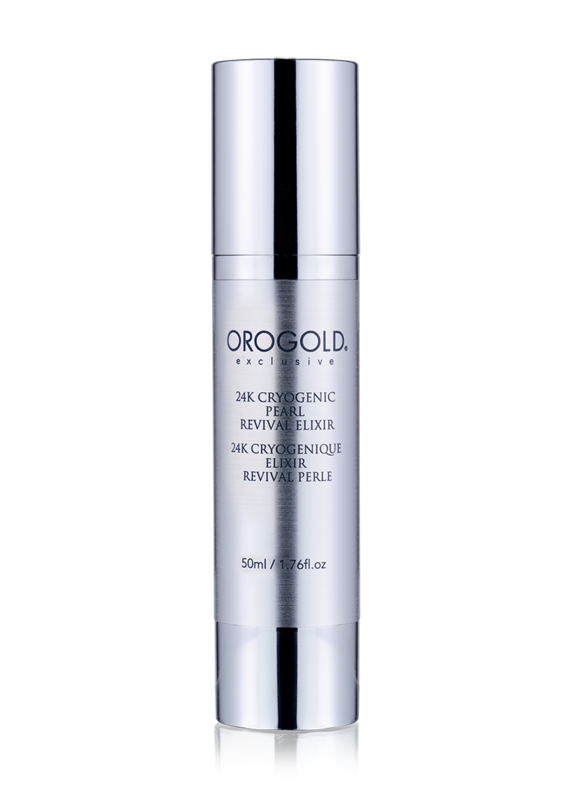 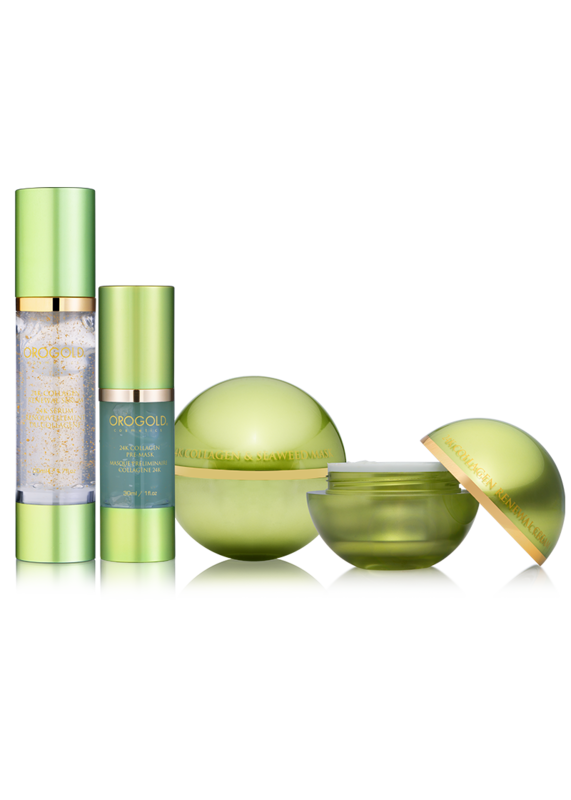 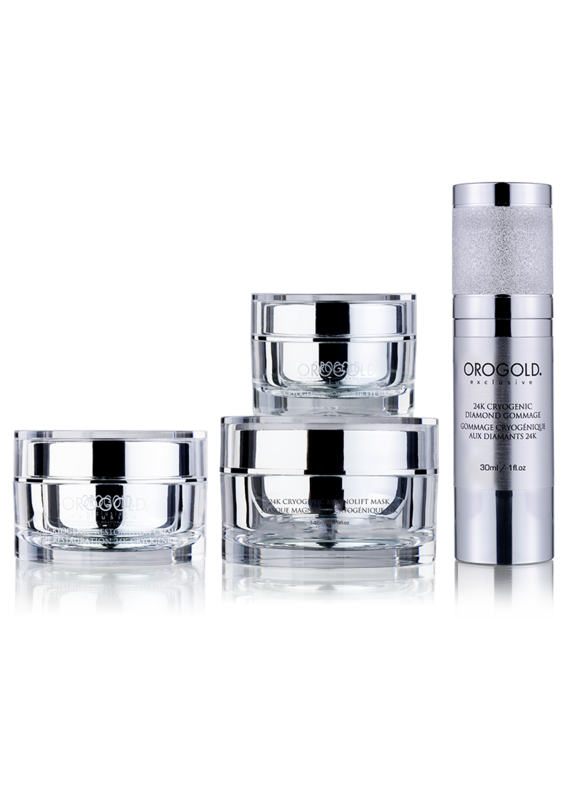 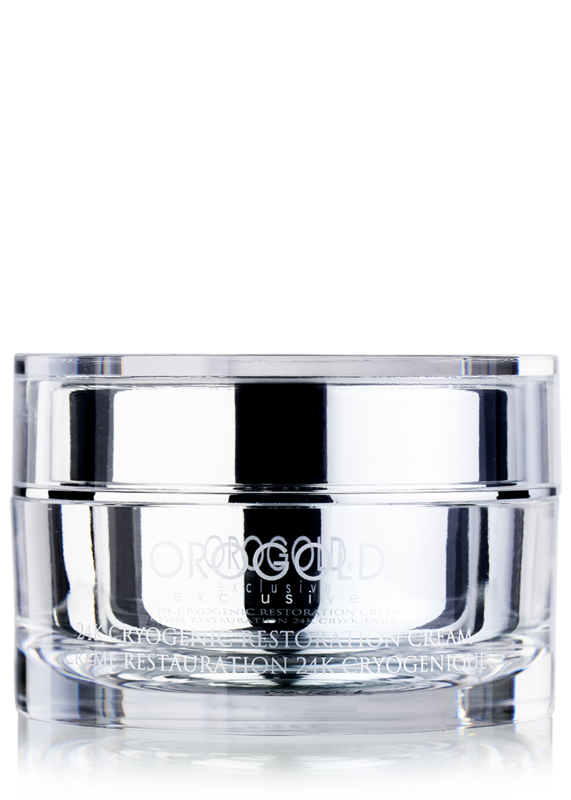 Each product in the OROGOLD 24K Cryogenic Collection has been formulated with quality, age defying ingredients to help fight unwanted signs of aging. 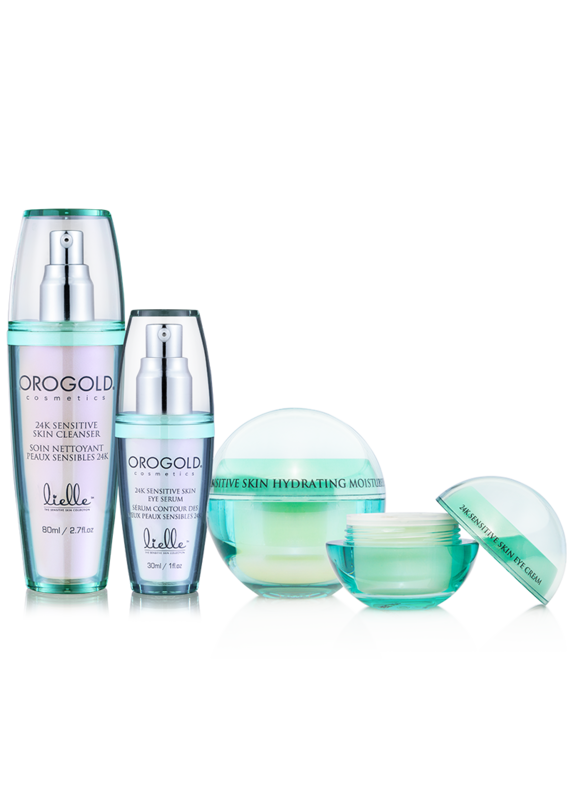 From the 24K Cryogenic Contour Eye Firming to the 24K Cryogenic MagnoLift Mask, the products within this collection will help restore and revive lackluster, maturing skin. 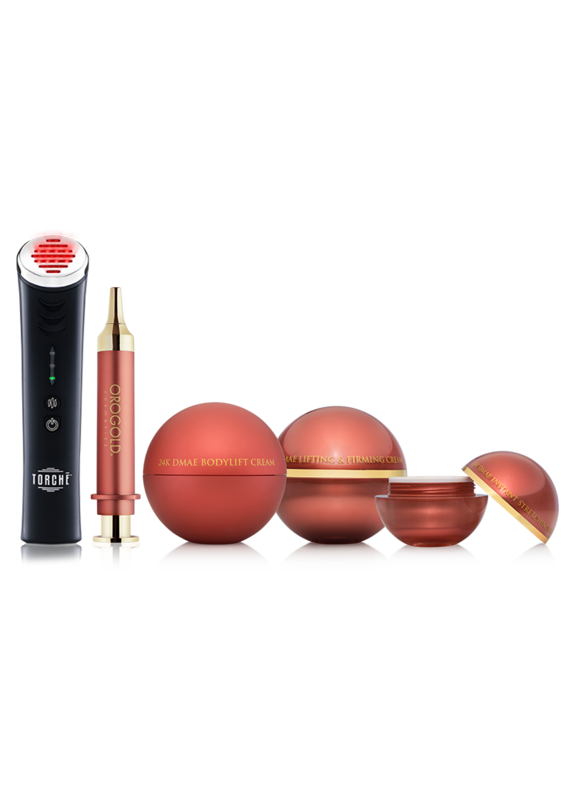 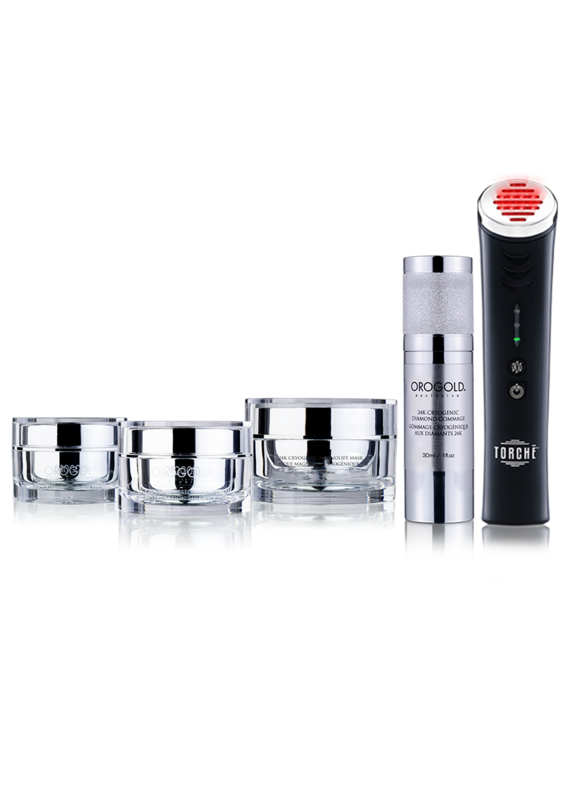 To heighten your skin care experience, this collection also includes the Jelessi Torche V2+, an invigorating device that helps fight the appearance of fine lines with the power of LED infrared lighting.